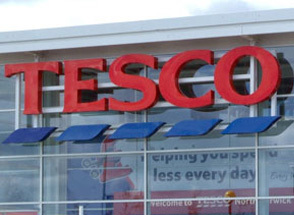 Tesco has announced its twelfth consecutive quarter of UK like-for-like sales growth. The shares rose 2.5% in early trading. Tesco's pleased with its progress and we can understand why. The group has grown all its major metrics despite a ferociously competitive marketplace, and the newly integrated Booker is working wonders on sales figures. To us, it looks well set to hit 2019/20 targets. Tesco is by no means in the clear though. Aldi and Lidl remain a threat, and Sainsbury's potential merger with Asda could bring a new challenge too. If that deal goes ahead, Sainsbury says it will use the increased scale to lower prices by up to 10%. That raises the prospect of another price war. A shared supply deal with Carrefour went live in October. That sees two European superpowers joining forces to squeeze suppliers, and was perhaps prompted as much by the Marmite-related dispute with Unilever as Sainsbury's plotting. Regardless of the whys and wherefores, it's easy to see how the deal can add value. Tesco's also launched a new chain of discount stores: Jack's, named after the group's founder Jack Cohen. It's too early to know how this new format has been received but it could give the group a more direct route to compete on price. While there are plenty of hurdles still to clear, overall we think Tesco's in a stronger position than it's been for some time. Much of the heavy lifting in the turnaround from 2015's nadir has been done and an impressive recovery means the dividend returned earlier than expected. The prospective yield is 3.5%, and plans to build payments up to around half of earnings means analysts expect the payment to rise. If that proves the case, investors should at least get paid while they find out if the group can make good on its turnaround plans. Group sales (excluding fuel) improved 10.1% in the combined third quarter and Christmas period, but that was driven by the acquisition of Booker. On an underlying basis, sales declined 0.2% as store closures offset a 0.8% increase in like-for-like sales. Booker contributed a 9.6% increase to LFLs, while the core UK grocery business saw a 1.2% uplift. These increases offset a 6.2% decline in the Asian business, and 2.8% fall in Europe, which was dragged into negative territory by difficult trading in Poland. Tesco plans to close a total of 46 unprofitable Polish stores. On an underlying basis, Tesco Bank's sales for the 19-week period grew by 2.4% driven mainly by an increase in lending income, partially offset by reduced income from motor insurance. CEO Dave Lewis said the group has delivered "significant improvements" and enjoyed a "very strong Christmas performance which was ahead of the market." Tesco says it remains on track to deliver the medium-term ambitions set out in October 2016: to reduce costs by £1.5bn, to generate £9bn of retail cash from operations and to improve Group operating margins to between 3.5% and 4.0% by 2019/20.